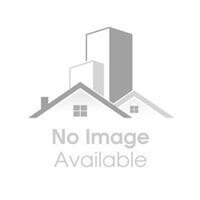 Mahavir enclave, delhi west, delhi / ncr we have well maintained 1bhk builder flat on 2nd floor with 1 bathroom and 1 balcony in prime location, mahavir enclave.. Good ventilated flat with 1 reserved bike parking. 24 hrs. Sweet water facility. Top high class building with all amenities like:- *fully modular kitchen with ro and chimney. *designer wallpapers and fall ceiling in every bedrooms and drawing room. *imported lightning systems with chandeliers in drawing room. *1 lcd panels and 1 wooden almirah. *this property is near by metro station.. And well connected to banks, atms, schools, hospitals and markets.. *freehold property & home loan facility available. For more details plz contact us at 10 am to 6 pm.